Posted on 12 May 2011. The world’s largest producer of computer networking devices, Cisco Systems Incorporated, announced on Wednesday that they are planning to remove thousands of jobs in line with their cost-cutting measures in order to increase their profits again. Cisco’s sales have improved since the recession but started to decline again during third to fourth quarter of 2010. In the previous months, there are signs that CEO John Chambers is finally listening to long-standing criticism that Cisco is doing too many things at once; competing in varied markets. Chambers said that he vows to make radical changes in the company in order to simplify it. However, Cisco is still in dangerous waters as they announced on Wednesday that their financial forecast for this quarter is way below what analysts expect. Chambers then said that he aims to cut company’s annual expenses by a billion dollars or roughly 6 percent. The CEO did not say how many jobs he is expecting to eliminate basically by an early retirement program but basing on the 6 percent budget cut, 73,400 employees may lose their jobs. In the fiscal third quarter, which officially ended in April 30th, the company said that their net income dropped by almost 18 percent earning only $1.8 billion compared to last year’s earnings of $2.2 billion. Cisco started in 1984 by a couple Len Bosack and Sandy Lerner. 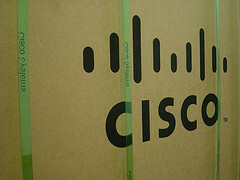 They were later joined by Richard Troiano and officially founded cisco Incorporated. “Cisco” came from the city name San Francisco ; the exact same reason why they insisted on using lower case letters on “cisco” during the early years of the company.